We’ve experienced both highs and lows on our road to debt freedom and today I want to share with you some of the fun and unexpected things that have happened on our journey. Less mail and far fewer bills in my mailbox. Most days there’s nothing in there. And I kind of like that. Surprise expenses are only annoying now and not fear inducing. When we took our son to the emergency room last winter we weren’t afraid of the bill in the same way we would have been before our debt free journey so we focused more easily on making sure he was getting the care he needed. As we’ve gotten closer to debt freedom we are getting giddy about making plans for our money instead of our debt making the plans for us. I’ve learned to cook some great fun food, like homemade pizza. Eating at home is healthier and we don’t need to leave a tip. When we do eat out it really does feel like a treat because it is. My kids understanding of money has improved greatly. And I’m very motivated to make sure they don’t travel the debt road we have. Vacations planned and paid for in cash are FAR more fun because you can truly be in the moment. I love knowing on the ride home that I will not be getting the bill in the mail. The memories stay more golden for me this way. My five year old walking around hollering “Freeeeedooommmmm!!!! !” or “I’m debt free!!!!!! !” from listening to Dave Ramsey’s free podcast with me in the car or while I’m on the treadmill is hilarious. But clearly he’s listening. Add a 10th thing to this list! What has been a fun and unexpected result of your debt freedom journey? Posted in Practical Things and tagged budget, Dave Ramsey, debt free, free, goal, highs and lows, homemade pizza. Bookmark the permalink. As we head into the 4th of July weekend, I feel compelled to consider our freedoms, our flag and how grateful I am to be a citizen of our great nation. No matter our troubles, no matter our challenges, I am an American. And I am grateful. I am grateful for those who have protected our freedoms. I am grateful for those who question our direction to make us think more deeply on it. I am grateful for our unique culture of courage and fortitude. I am grateful for the those who came before and hopeful for those who will come after. I am grateful that I still get tears in my eyes watching fireworks and hearing the Star Spangled Banner on the 4th of July. I am grateful for hot dogs on barbecues and fireworks in town squares. I am grateful for children’s faces silhouetted, dazzled by colorful celebratory explosions in the night sky. I am grateful for liberty and for the pursuit of happiness. I am grateful for religious freedom. I am grateful for red, white and blue snow cones. I am grateful that Ray Charles’ rendition of America the Beautiful moves me deeply. I am grateful that, while we are not a perfect nation, will never be a perfect nation, we strive for better in our country, even when we disagree on what that is. I am a grateful American. Last summer we spent 4th of July in the town where this man made his home so I thought I’d share a work of his today. On a park bench an old man was sitting there. And that’s a Ragged Old Flag you got hanging on it. He said, “Have a seat”, and I sat down. When Washington took it across the Delaware. Sat watching it writing _Oh Say Can You See_. Beside the Texas flag, but she waved on through. And she got cut again at Shiloh Hill. She hung limp and low by the time it was through. She was in Korea and Vietnam. And now they’ve about quit waving her back here at home. Is scandalized throughout the land. But she’s in good shape for the shape she’s in. Take her down every night. And we fold her up right. Posted in Practical Things and tagged Family, free. Bookmark the permalink. I’ve got a free “tool” for you today. It’s a funny thing about budgets and getting debt free. It’s about money, our beliefs about money, and our behavior with money. And I don’t know about the rest of the world, but we Americans seem to have a lot of shame about how much money we make or don’t make. How we manage or don’t manage it. What we know or don’t know about money (which according to some recent surveys I’ve read is pretty paltry but we’re all starting to fix that!). 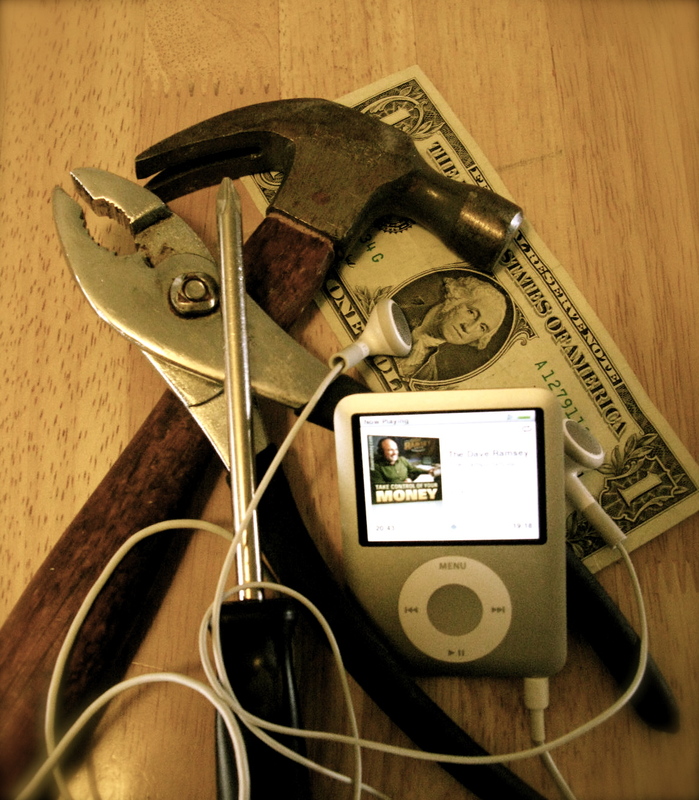 Today, I want to suggest to you that money is a tool. It’s no different than a hammer. Or a wrench. Or a screwdriver. When my husband and I first got married we had a piddling little mix of tools that were mostly old and hand-me-down and housed in a rusty old classic metal red tool box (my favorite, of course, is the little all-in-one hammer-screw driver my grandma gave me years ago and clearly that suits my rice and beans practical nature!). Over time we’ve added many tools to that rusty old tool box. We keep the box because we love the patina of it and it reminds us of where we came from. We keep the old tools for the same reason. Over time we’ve added new tools as we’ve found needs for them and as we’ve been able to acquire them-some used, some new. They serve us well and we’ve learned to better use our tools along the way. Money is a tool. Knowledge is a tool. Inspiration is a tool. Let that give you a fresh start today to work toward your new ending! If you’ve got some great inspirational tools in your tool box about your money and your budget-I’d love to know about them-comment away! 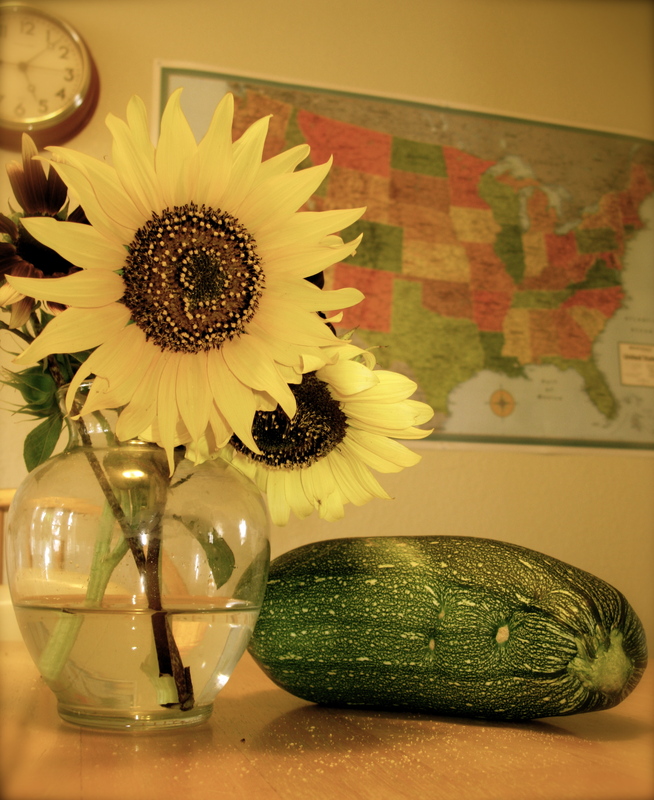 Posted in Inspiration Thursdays and tagged budget, budget friendly, Dave Ramsey, free. Bookmark the permalink. Even Elmo is doing it! This morning I turned on Good Morning America. It was actually on in the background as I buzzed around getting ready for our schoolwork today. As I stood in the kitchen pouring a second cup of coffee I heard my oldest son call out “Hey Mom! Even Elmo is doing it!” I joined him in the living room to find out what exactly Elmo was doing that had him hanging out with the Good Morning America folks. Turns out Elmo has jumped on the bandwagon for learning how to use money wisely! Very cool! He talked about his Save, Spend and Share plan and the jars for each. I had to laugh. This is great stuff! We recently invested in the Dave Ramsey Financial Peace Jr. Super Pack collection-on sale of course- (for ages 3-12) as part of his first grade curriculum which teaches how to Save, Spend and Give (so pretty much the same kind of thing). When the set arrived in the mail he was over the moon (which of course thrilled me because I wasn’t sure how he’d like it). In less than two weeks we’ve gone from him thinking that money is just given out at the bank to him starting to get a good, rounded understanding of money as a tool and a responsibility. We’d been trying for a long time to help him understand but somehow Dave Ramsey’s character Junior connected better with him. And now we can add Elmo to the mix. My oldest is five and a half. He’s at that age where Elmo is still enjoyable but not really his thing anymore. Dave Ramsey’s set is geared more toward older children so it’s a good fit for us. In the last two weeks we’ve seen an amazing growth in his understanding and character building with being a good steward of money. And it helps him understand Mom and Dad’s goals for our family and why we feel it is so important to get out of and stay out of debt. I’m thrilled to see Elmo putting this out there too. Elmo’s program is officially called The Sesame Street For Me, For You, For Later Kit and it’s FREE . (And we all know FREE is budget friendly!) Teaching kids about money is smart way to help your kiddos embrace a Rice and Beans Mentality and these programs make it so much easier to teach great financial principles and make it fun! (And just for full disclosure-I’m not benefitting from either of these companies-I just find their programs to be fantastic and helpful!). 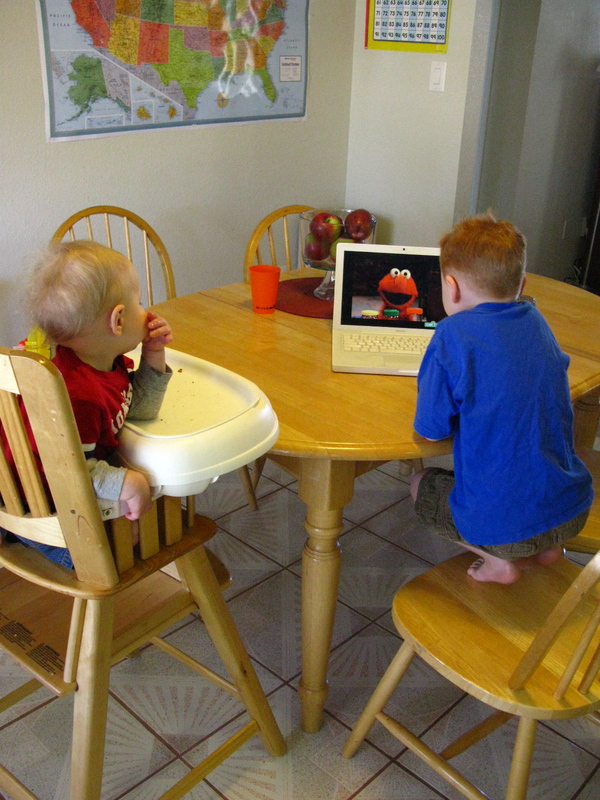 Checking out Elmo's program online. 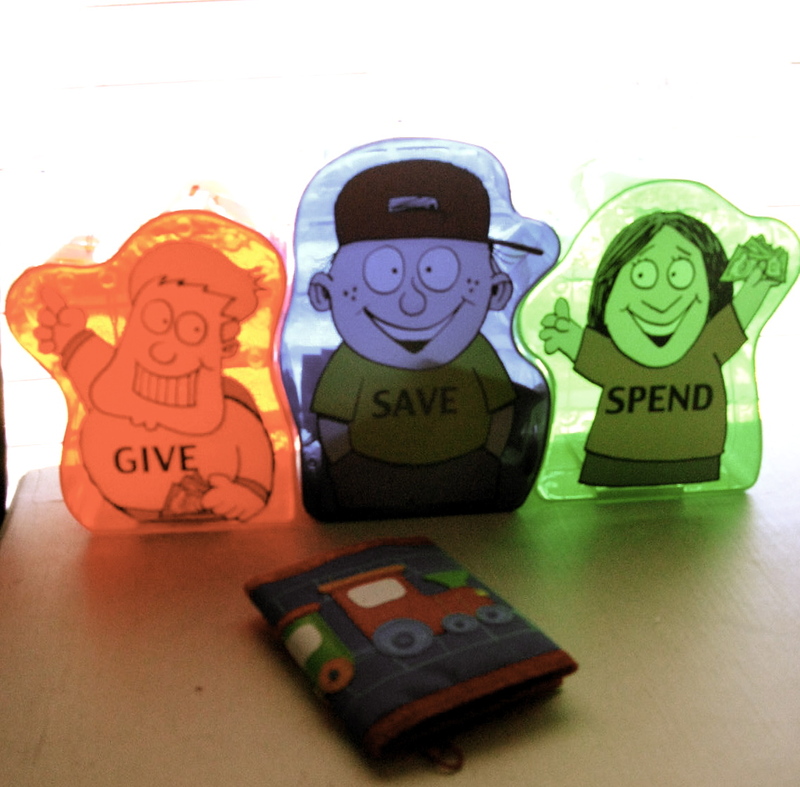 Dave Ramsey's cool Give, Save, Spend banks and my kiddo's cool wallet. Posted in Practical Things and tagged budget friendly, Dave Ramsey. budget, finances for kids, free. Bookmark the permalink. Well. For a little while anyway. Usually three whole weeks. And with amazing modern technology you can usually renew your items at the end of your three weeks for more time. Where can you get amazing FREE books? Are you ready for this?? Your LOCAL LIBRARY. If you haven’t stepped into your local library since card catalogs were the kind you pull out of drawers and were actually on CARDS then you might just be in for a treat. Libraries, even the ones in the smallest of counties, have a surprising number of free resources. Most libraries now let you browse their catalog online from home, some let you reserve books from home and some pull the books for you in advance to pick up at the front desk. If you get close to the due date and you haven’t quite finished your selection (or started on one as sometimes is the case with me!) you can log in from home and re-check your items. Libraries these days have a ton of great books, DVD’s, CD’s that can be checked out. Most also have free Wi-Fi. I live in a very rural area and even our quaint, small public library has some fantastic resources and plenty of current movies (including some great foreign selections if you like!). When I lived in a more metropolitan area I could “order” the books I wanted and pick them up at the desk without having to wander the stacks (unless you want to and I often do just to lose myself for a while). If you have children there are often great programs and story times and the librarians are usually wonderful resources for where to find out what is going on in the community. The last time I walked out of my library (last week) I had more than twenty books (many for my children, but at least six for myself). If I’d walked out of a bookstore with this many books I cringe to think of the money I’d have spent. While I do buy plenty of books, I usually only buy the ones I want on my bookshelves for years to come. The rest I find at my wonderful local library. Free entertainment fits in very nicely into anyones budget! Free is budget friendly. I’d love to hear your thoughts: Do you have a library card? Why not?? Posted in Practical Things and tagged budget, budget friendly, free, free entertainment. Bookmark the permalink.